A (not quite so) slippery slope designed for hours of indoor fun – kids will love climbing and sliding down the Jupiduu Slide. I love that more and more play equipment is being designed for indoors – especially so in winter! Designed with toddlers and preschoolers in mind, little ones can tucker themselves out going up and down the Jupiduu Slide all day long. Measuring up at 145cm long and 68cm tall and made from durable MDF, the Jupiduu Slide in all of its Scandinavian style glory will look brilliant no matter where it resides in your home. 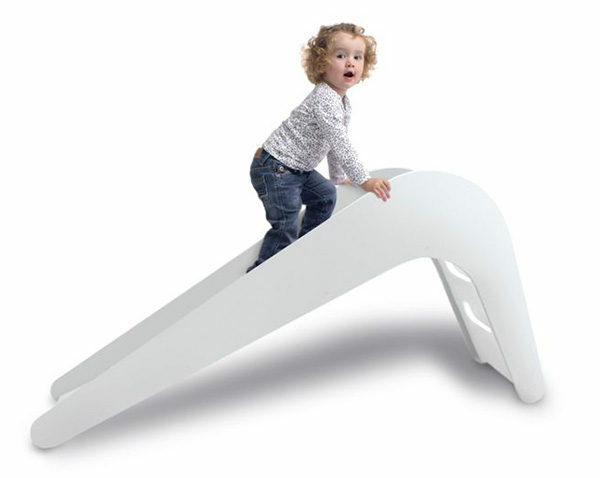 Available in white, pink, blue and green, you can find the Jupiduu Slide at MiniMacko, priced $499.95.